Canadian residential real estate is the 3rd most overvalued worldwide, according to a new global price analysis by The Economist. Trailing just behind New Zealand and Australia, Canada’s homes are estimated to be 56% more expensive than they should be. The study measured the average housing price against the median household incomes of 22 major global markets, and Vancouver was the only Canadian city to be ranked in this overvaluation leaderboard, coming just behind Hong Kong, Auckland, Paris, and Brussels. Vancouver real estate was priced 65% higher than it should be based on local incomes, according to the study. Average home prices in the city increased by around 12.3% per year since 2011, and by 60.4% over a 5-year period. In recent years, strong price growth and increased foreign capital volume have turned Vancouver’s real estate segment into a major contributor to the B.C. economy. However, a FINTRAC report released earlier this year warned that B.C. properties are especially vulnerable to money laundering. The study found that approximately 88% of real estate entities in the province have “significant” and “very significant” deficiencies in their anti-money laundering controls, particularly in risk assessment, client identification, record keeping, and reporting policies and procedures. FINTRAC said that it was paying close attention to money laundering via real estate, alleging that funds gained from these operations are used by criminal elements engaged in the fentanyl trade and other illicit activities. 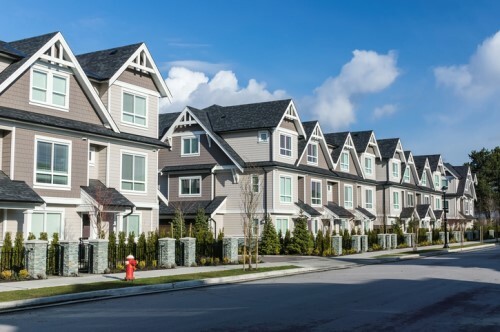 Widespread property speculation and foreign nationals have been blamed for the inflamed growth of Vancouver’s home prices.